I came to Homburg today… Again a cozy smal village by the river Main that has (my guess..) 1568 souls with this address and it has a Schloss (a castle ) like every village and small town has along this river. 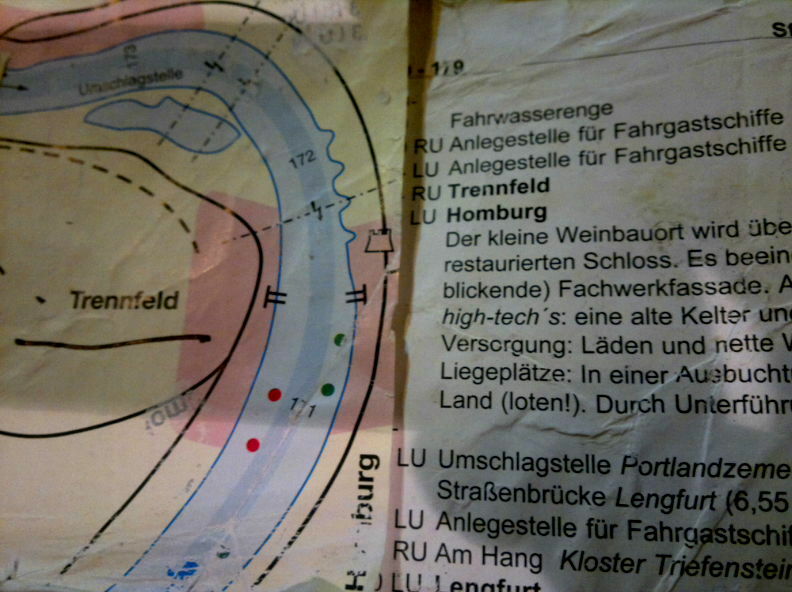 Did not know it, but got it now, seen it, know it.. – this is the route if you want good view, history, wine, and a calm atmosphere with pitoresk surroundings made by a German king or lord in year 1300.. I would like to suggest not to paddle, but use a cycle (its flat.. ), a car or a boat. Im on land at ca 1700 and then finding a place for sleep and food. 8 hours standing paddling makes no energy to find that German king or his wine, but yes ! I will to go back and try that! Do that, be a king! 4 euro, less or more.